Wondering which software is used for hacking? What is the best software for hacking a password? 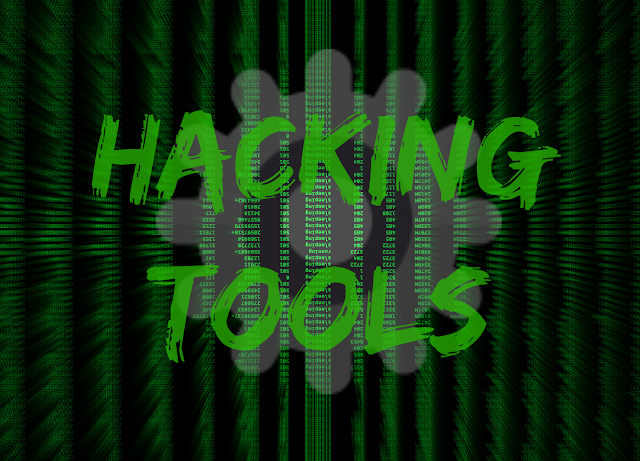 We have created a list of useful hacking tools and software that will help you do your job much easier. Ethical hacking and online security involve a lot of efforts. Many tools are used to test and keep the software secure. The same tools can also be used by hackers for exploitation. Becoming a hacker is not easy it requires many skills. You can learn a few hacking tricks from free hacking tutorials online, some really cool hacking books and books on information security . However, Along with all the skills, you need to have the best tools to perform hacking, security threat analysis, and penetration testing. A hacking tool is a computer program or software which helps a hacker to hack a computer system or a computer program. The existences of hacking tools have made the lives of the hackers much simpler when compared to the times they did not exist. But it does not mean that if the Hacker is equipped with a good hacking tool, his entire job is smoothly done. The hacker still requires the skills of all the aspects of hacking equally well. A password cracker software, which is often referred to as a password recovery tool, can be used to crack or recover the password either by removing the original password, after bypassing the data encryption or by an outright discovery of the password. In the process of password cracking, a very common methodology used to crack the user password is to repeatedly make guesses for the probable password and perhaps finally hitting on the correct one. It cannot be denied that whenever we are referring to cybersecurity, passwords are the most vulnerable security links. On the other hand, if the password is too completed, the user might forget it. 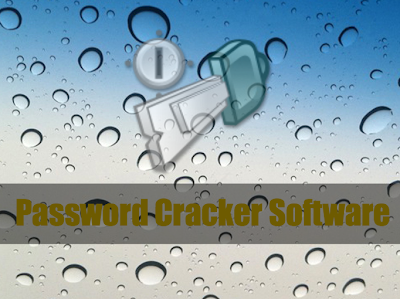 Password Cracker software is often used by hackers to crack the password and access a system to manipulate it. Do not unethically use this software for hacking passwords. Hashcrack is password cracker for GPU(s) and CPU(s) using OpenCL. It can run on NVDIA and AMD devices. It is a very powerful password cracking tool that is also well documented. It is a free password cracker software which is based on the effective implementation of the rainbow tables. It runs on a number of Operating Systems like Mac OS X, Unix/Linux and Windows Operating System. It is equipped with real-time graphs for analyzing the passwords and is an open source software. Ophcrack has the capability to crack both NTLM hashes as well as LM hashes. Rainbow Crack as the name suggests, is a cracker for hashes with the Rainbow Tables. It runs on multiple operating systems such as Linux, Windows Vista, Windows XP (Windows Operating Systems). It supports both Graphical User Interface as well as Command-line Interface. It's software which is used for password cracking by generating rainbow tables, fuzzing all the parameters. Brutus is one of the most flexible and free password crackers which operates remotely. It is popular also because of its high speed and operates under operating systems such as Windows 2000, Windows NT and Windows 9x. Currently, it does not operate under the UNIX operating system. Brutus was initially designed to check network devices like routers for common as well as default passwords. L0phtCrack which is now known as L0phtCrack6 is a tool which tests the strength of a password given, as well as to recover lost passwords on Microsoft Windows platform. Thus it is a tool for both password recovery as well as auditing the password. It uses techniques such as Rainbow tables, brute-force, and dictionary to recover passwords. Fgdump is a powerful cracking tool. In fact, it's much more powerful than pwdump6 as the latter has the tendency to hang whenever there is a presence of an antivirus. Fgdump has the capability to handle this problem of hanging by shutting down first. It later restarts the Antivirus software. It supports multi-threading which is very relevant in the multitasking and multi-user environment. Every password security study has revealed that the biggest security weaknesses are passwords. THC Hydra is a tool for cracking logins and it is flexible as it supports various protocols. It is very fast and at the same time, new modules can be easily added. Hydra can run on operating systems like Solaris 11, OSX, Windows, and Linux. John the Ripper is free software for password cracking which was originally designed for the Unix Operating System. At present, it can run on 15 Operating systems which include 11 different versions of UNIX, Win32, DOS, and BeOS. It has the capability to combine several password crackers into a single package which has made it one of the most popular cracking tools for hackers. There have been many wireless hacking tools exposed in the recent past. When a hacker hacks a wireless network, it is supposed to defeat the Wireless network’s security devices. The Wi-Fi networks i.e. the Wireless LANs are more exposed to the security threats from a hacker while compared to that of a wired network. While hackers are always more than ready to hack especially if there are weaknesses in a computer network, hacking is often a tedious and complicated procedure. Kismet is a wireless detector system which detects possible intrusion to an 802.11 layer2 wireless network, it is also a sniffer. There is certain plug-in supported by Kismet which enables sniffing media like DECT. It also has the capacity to infer whether a nonbeaconing network is present or not via the data traffic in the network and a network is identified by this tool by collecting data packets passively, detecting hidden and standard named networks. In order to log into a website, a user has submitted details like his or her username and password. The server validates this data and sends back a “cookie”. The websites usually encrypt the password, however, does not encrypt other details which leave the cookie exposed to hacking threats which are also known as HTTP session hijacking. Firesheep has a packet sniffer which can intercept the cookies which are encrypted from Social Media sites like Twitter and Facebook and comes with the Firefox web browser. Firesheep is available for both the Windows and Mac OS X operating system. It would also run on the Linux platform in the new future. KARMA is an attack tool which takes advantage of the probing techniques that is used by a client of a WLAN. The station searches for a Wireless LAN in the list of preferred network and it is then that it makes the SSID open for an attacker who is listening. 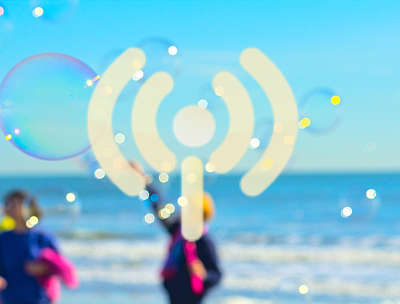 The disclosed SSID is used by KARMA for impersonation of a valid WLAN and attracts the station to the listening attacker. It is a multi-functional application that is designed for scanning TPC port. This is also a pinger and address resolver. It also has useful features like ping, traceroute, WhoIs and HTTP request. There is no need of installation as it is a portable application. This is again a command-line based utility tool. It has the capability to establish a two bidirectional byte streams through which it transfers data. In this tool streams can be constructed from a large set of different data sinks. Not all network protocols are powerful. In order to take advantage of the weakness of certain network protocols, Yersinia is created. It is a full-proof framework that analyzes and tests the deployed networks and systems. It is a versatile passive tool that is used for OS fingerprinting. This passive tool works well in both Linux and Windows operating systems. It has the capability to detect the hooking up of the remote system whether it is Ethernet, DSL or OC3. Tcpdump is a command-line packet analyzer. After completing the designated task of packet capturing Tcpdump will throw the report that will contain numbers of captured packet and packets received by the filter. The user can use flags like –v, -r and –w to run this packet analyzer tool. It is free web debugging proxy tool that can be used for any browser, platforms or systems. The key features of this tool include performance testing, HTTP/HTTPS traffic recording, web session manipulation and security testing. A passive and semi-automated application which is essentially a security audit tool. It can accurately detect and annotate problems in web 2.0 platforms. It's a reconnaissance web application security tool. Some of its features are dictionary-based probes and recursive crawls. A website's sitemap is eventually annotated for security assessments. It is an open source forensic and intelligence application. It can be used for gathering information in all phases of security related work. It saves you time and money by performing the task on time in a smarter way. It's a powerful debugger for analyzing malware. Its unique features include an advanced user interface with heap analysis tool and function graphing. It is a tracert or IP tracking tool that displays the path of internet packets through which it traversed to reach the specific destination. It identifies the IP address of each hop along the way it reaches the destination. It is a complete searching and indexing system that is used for a domain or internet. It works on both Linux and Windows system. It, however, does not replace the internet-wide search systems like Google, Infoseek, AltaVista and Lycos. It is a free and open source software command-line tool that transfers data with URL syntax. It supports HTTP/HTTPS, Gopher, FTPS, LDAP, POP3 and many others. It can run under a wide variety of operating systems. The recent stable version is v7.37.1. There are numerous professionals who aspire to have a career as ethical hackers. Hacking is not an easy task as it requires great insight about technology and programming. There are specific operating systems as well that are specially designed for hackers to use. These operating systems have preloaded tools and technologies that hackers can utilize to hack. This article offers a detailed overview of various operating systems that are built keeping hacking in mind. All these operating systems are unique from each other and have proved to be a great resource for hackers around the world. Security Enhanced Linux or SELinux is an upstream repository that is used for various userland tools and libraries. There are various capabilities like policy compilation, policy management and policy development which are incorporated in this utility tool along with SELinux services and utilities. The user can get the software as a tested release or from the development repository. The website of Knoppix offers a free open source live Linux CD. The CD and DVD that is available contain the latest and recent updated Linux software along with desktop environments. This is one of the best tools for the beginners and includes programs like OpenOffice.org, Mozilla, Konqueror, Apache, MySQL and PHP. It is a Linux distribution that is based on Ubuntu. If you want to perform a security assessment and penetration tests, this software is the one that you should have in your repository. It proactively protects the IT infrastructure. It has the capability to simplify the complexity of your IT infrastructure with ease as well. It is security focused live CD that is created based on Gentoo. It has a large number of customized tools and kernels including a hardened kernel consisting of aufs patches. It can backport Wi-Fi stack from the latest kernel release that is stable as well. There are development tools in Pentoo that have Cuda/OPENCL cracking. If you are looking for a distro to be used in penetration testing and cyber forensic investigation, then Matriux Krypton is the name that you can trust. This is a Debian based GNU/Linux security distribution. It has more than 340 powerful tools for penetration testing and forensics; additionally, it contains custom kernel 3.9.4. This is regarded as the specialist tool that is specifically designed for security auditing and penetration testing. It is a reliable, stable and powerful tool to be used for this purpose and is based on the current Ubuntu Linux distribution. It is a free and open source system that you can download from the website. It is free and open source penetration testing distribution available over the internet. It is based on Ubuntu 10.10, which is designed specifically for the information security training students and professional. It is fast and stable yet a powerful tool that works perfectly for you. This software is a recommendation from most of the users. It is free and open source penetration testing distribution available over the internet. It is based on Ubuntu 10.10, which is designed specifically for information security, training students and professionals. It is fast and stable, yet a powerful tool that works perfectly for you. This software is a recommendation from most of the users. It is a live Linux environment that is designed in such a way that it functions as a web pen testing environment. The software CD contains tools and programs that are open source and free. The tool selection is based on the ones that the company themselves use for security of their IT infrastructure. It's a great pen testing distro comprising of some innovative pen testing tools. The software uses Fluxbox and is built using Debian Squeeze. One of its popular features is its ability to hack old Android-based systems. It is an Italian GNU/Linux live distribution list that was created as a project of Digital Forensic. It offers a complete forensic environment. This environment is organized in such a way that it integrates the existing software tools and software module and finally, throws the result in the form of friendly graphical interface. DEFT is a distribution that is created for computer forensics. It can run in a live stream on the system without corrupting the device. The system is based on GNU/Linux and the user can run this live using CD/DVD or USB pen drive. DEFT is now paired with DART, which is a forensic system. There are various versions of Helix released by e-fense that are useful for both home and business use. The Helix3 Enterprise is a cyber-security solution offered by this organization that provides an incident response. It throws live response and acquires volatile data. Helix3 Pro is the newest version in the block of Helix family products. Times are changing and spying has become a common phenomenon everywhere. There have been increasing instances where even the governments have been found to be spying on their citizens from time to time. This is one of the prime reasons why the importance of Encryption has increased manifold. Encryption tools are very important because they keep the data safe by encrypting it so that even if someone accesses the data, they can’t get through the data unless they know how to decrypt the data. These tools use algorithm schemes to encode the data to prevent unauthorized access to encrypted data. TrueCrypt is open source encryption tool which can encrypt a partition in the Windows environment (except Windows 8); it’s equipped for creating a virtual encrypted disk in a file. Moreover, it has the capability to encrypt the complete storage device. TrueCrypt can run on different operating systems like Linux, Microsoft Windows, and OSX. TrueCrypt stores the encryption keys in the RAM of the computer. OpenSSH is the short name for Open Secure Shell and is a free software suite which is used to make your network connections secured. It uses the SSH protocol to provide encrypted communication sessions in a computer network. It was designed originally as an alternative to the Secure Shell Software developed by SSH Communications Security. The tool was designed as a part of the OpenBSD project. It an open source encryption tool available on both UNIX and Windows operating system. It is a free implementation of SSH (Secure Shell) and Telnet for both Windows as well as UNIX. The beauty of this tool is that it supports many network protocols like Telnet, SCP, rlogin, SSH and raw socket connection. The word PuTTY has no specific meaning, however as in UNIX tradition, tty is a terminal name. OpenSSL is an open source encryption tool which implements the TLS and SSL protocols. OpenSSL’s core library is written in the C programming language. The fundamental cryptographic functions are implemented by it. OpenSSL versions are available for operating systems like UNIX, Solaris, Linux and Mac OS X. The project was undertaken in 1988 with the objective of inventing free encryption tools for the programs being used on the internet. Tor is a free encryption tool and has the capability to provide online anonymity as well as censorship resistance. Internal traffic is directed through a free network which consists of more than five thousand relays so that the user’s actual location can be hidden. It is difficult to track Internet activities like visiting websites and instant messages; the most important goal of this tool is to ensure the personal privacy of the users. It is an open source tool for the implementation of virtual private network techniques so that secure site-to-site or point-to-point connections using routers or bridges are possible, also remote access is possible. OpenVPN offers the users a secure authentication process by using secret keys which are pre-shared. KeePass is an open source as well as a free password management tool for the Microsoft Windows as well as unofficial ports for operating systems such as iOS, Linux, Android, Mac OS X and Windows Phone. All the usernames, passwords, and all other fields are stored by KeePass in a secured encrypted database. This database, in turn, is protected by a single password. An Intrusion Detection System is a software application or a device which is equipped to do network or system monitoring activities for any malicious threats and sends reports to the management station. Intrusion detection tools can help in identifying potential threats which can be dangerous for the system or the network. It is an open source Network Intrusion System as well as a Network Intrusion Prevention System which is free for all to use. It was created in 1988 by Martin Roesch. It has the capability to perform packet logging and analysis of real-time traffic on networks which are using the internet protocol. NetCop is an advanced intrusion detection system which is available practically everywhere. NetCop makes use of a specific method to classify the spyware. This is because there are several software programs which intrude your privacy and which have a different kind of capabilities. NetCop gives a distinct threat level to each program, thus classifying the threats. Metasploit was released in the year 2004 and it was an instant hit in the world of computer security. Metasploit provides data on the vulnerabilities in the security system and it helps in conducting penetration testing too. It is a penetration testing tool which is available as an open source. Its goal is to automate the detection and exploitation process of the injection flaws in SQL and to take over the database servers. The main objective of this tool is to access a vulnerable DB server; it's used for pen testing so that the procedure of controlling a DB server can be automated when the vulnerability of an SQL injection has been tracked. This toolkit also known as SET was designed by TrustedSec. The tool comes as open source code and is Python driven. It is used for conducting Penetration Testing around Social Engineer. It is a web-based security scanner which has an exploitation engine to confirm the security vulnerabilities and makes the user concentrate on elimination of security threats with its False-Positive free feature. BeEF is the short term for The Browser Exploitation Framework. It is a tool for penetration testing which concentrates on a web browser and thus accesses the actual security position of the environment it’s targeting. Dradis stands for Direction, Range, and Distance. It is an open source vulnerability scanner or application which provides the facility of information sharing effectively, especially during assessing the security of the system in a central repository. Nessus is the world’s most popular vulnerable scanner topping the list in the years 2000, 2003 and in the year 2006 survey on security tools. It's free to use vulnerability scanner for personal use in the nonenterprise environment. This scanner is tipped by many to be the most advanced vulnerability scanner in the world and is a powerful and comprehensive tool for scanning as well as providing solutions for vulnerability management. It is free software and is maintained daily. It is a parser for network infrastructure and its full form is Network Infrastructure Parser. This open source scanner helps with features like auditing, configuring and managing devices for network infrastructure as well as managing the computer networks. It is free computer security software which scans software on a computer system. It tracks those third party/non-Microsoft programs which require security updates to protect your computer against hackers and cyber-criminals. Retina, with more than 10,000 deployments, is one of the most sophisticated vulnerability scanners in the market. It aids in efficient identifications of IT vulnerability and is also available as a standalone application as well. It essentially identifies weaknesses in the configuration and missing patches. It is a vulnerability management scanner which provides solutions for vulnerability management by applications through the web. Designed by Qualys Inc., it's available on demand. It helps the users by analyzing their vulnerability status. Vulnerability management is one of the best security practices to protect the system or a network from security threats. Nexpose is a vulnerability management scanner which does different kind of vulnerability checks where there's a risk in IT security. While vulnerability scanners are meant for your system, the web vulnerability scanners assess the vulnerability of web applications. It identifies the security vulnerabilities that your app might have by conducting various tests. Burp Suite is a tool for conducting the security test of web-based applications. It has a collection of tools which work together and conduct the entire process of testing with an objective to find as well as exploit the vulnerabilities in the security. It is a testing tool for web security applications and has been written in Java and thus is operating system independent. It acts as a proxy and lets users change web requests by web browsers and web server replies. Webscarab often records the traffic to conduct a further review. It is a scanner for web servers and is available as an open source. It conducts detailed testing for several items against the web servers which include testing of more than 6700 files or programs which can be dangerous. It also tests for version specific problems of the web servers. This tool exposes more than 200 potential vulnerabilities and thus minimizes security threats to your websites. It's written in the programming language Python. W3af has both console user interface as well as graphical user interface. Can you think of more tools? Please share with me in comments. Article Updated On Sep 2016: Made changes per user comments and latest tools status. Article Updated On Oct 2016: fixed broken links and latest tools status. Article Updated On Feb 2017: fixed broken links and latest tools added. Article Updated April 2019 : Minor changes, updated introduction section.